Installation view from Allan Kaprow, 18 Happenings in 6 Parts, Ruben Gallery, New York, 1959. Photo: Fred W. McDarrah. Claes Oldenburg, Snapshot from the City, 1960. On photography with Patty Mucha (Pat Muschinski). Photo: Martha Holmes. Chris Burden, Trans-fixed, 1974. Venice, California. Marina Abramović, Rhythm 0, 1974. Studio Morra, Naples. MG Ljubljana. Guggenheim. MoMA. Tate. Artist. Carolee Schneemann, Interior Scroll, 1975. Photo: Anthony McCall. Gelatin silver prints. East Hampton, New York. Moderna Museet. Brooklyn M. Tate. Cornell. Reina Sofia. Artist. 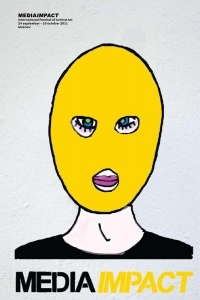 This page contains an overview of artists, their writings, major venues, exhibitions and catalogues, associated journals, historical studies and analyses of performance art, including happenings and body art, followed by thematic sections on documentation, reenactment, and performance studies. Closely associated movements such as Gutai, Situationist International, Viennese Actionism, Fluxus and Moscow Conceptualists are treated on separate pages. First published on 23 July 2017. This selection includes major happening, performance and body artists active in the 1960s and 1970s. See also Situationists, Viennese Actionists, Fluxus artists, and Moscow Conceptualists. 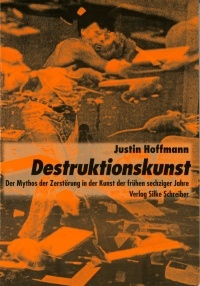 See also publications of Gutai, Situationist International, Viennese Actionists and Fluxus. For publications by individual artists see bibliographies on their respective pages. arTitudes international 3, Feb-Mar 1973. Performance by Artists, eds. Bronson & Gale, 1979, Log, PDF. 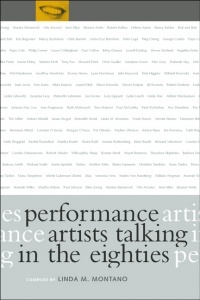 The Art of Performance: A Critical Anthology, eds. 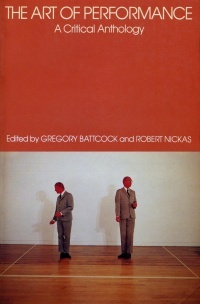 Battcock & Nickas, 1984, PDF. 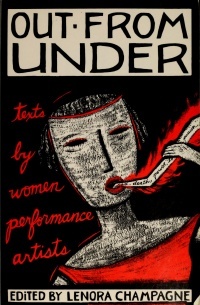 Out from Under: Texts by Women Performance Artists, ed. Champagne, 1990, Log, PDF. Radical Street Performance: An International Anthology, ed. 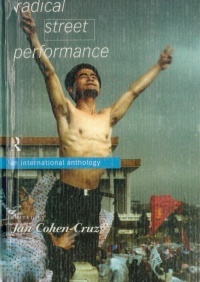 Cohen-Cruz, 1998, Log, PDF. 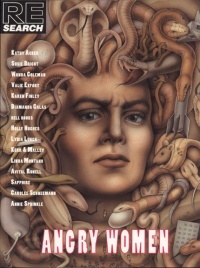 Re/Search 13: "Angry Women", 1991, PDF. Performance Artists Talking in the Eighties, ed. Montano, 2000, Log, PDF. Major venues for experimental art, emphasizing live and performance art. Black Mountain College, fl. c1948-mid-50s. ICA – Institute of Contemporary Arts, London, est. 1949. The Kitchen, New York, est. 1971. Western Front, Vancouver, est. 1973. De Appel, Amsterdam, est. 1975. Franklin Furnace, New York, est. 1975. Event archive. Moltkerei Werkstatt, Cologne, est. 1981. FADO Performance Art Centre, Toronto, est. 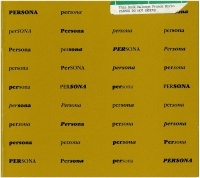 1993. Martin Duberman, Black Mountain College: An Exploration in Community, New York: Dutton, 1972, 527 pp; repr., WW Norton, 1993, 578 pp; repr., Northwestern University Press, 2009, xxiii+578 pp. 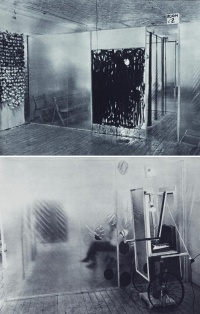 History of the radical experimental art school, the volume includes a series of interviews with many who were present at John Cage’s Theater Piece #1 (1952), which included participation by Charles Olson, Merce Cunningham, Robert Rauschenberg, a.o. These personal accounts triangulate and provide unique insight into the historic event. Vincent Katz (ed. ), Black Mountain College: Experiment in Art, MIT Press, 2003. Katz identifies the Bauhaus as the philosophical antecedent for Black Mountain College, the experimental North Carolina art school, as well as the source for the emergence of happenings in the United States. Contains documents and personal recollections of the college, an essay on music by Martin Brody, and essays by Robert Creeley and Kevin Power on poets and the Black Mountain Review, the journal for the Black Mountain school of poetry. Contains numerous interviews with artists who attended the college; five hundred photographs. Eleanor Roberts, Third Area: A Feminist Reading of Performance at London’s ICA in the 1970s, London: Queen Mary University, 2016. PhD dissertation. 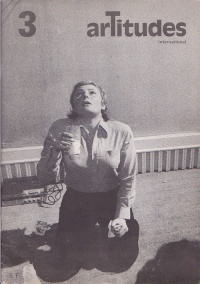 See also other literature on Black Mountain College. See also literature on Gutai, Situationist International, Viennese Actionism, and Fluxus. 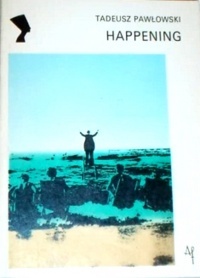 Jean-Jacques Lebel, Le happening, 1966. New Writers IV: Plays and Happenings, ed. John Calder, London: Calder and Boyars, 1967, 166 pp. TOC. 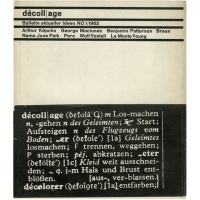 Texts by John Calder, Jean-Jacques Lebel, Charles Marowitz, Ken Dewey, René de Obaldia, Allan Kaprow, a.o. Walter Aue (ed. ), P.C.A. 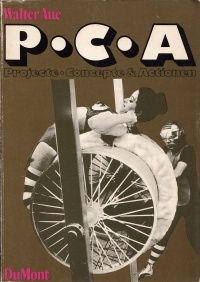 : Projecte, Concepte & Actionen, 1971. 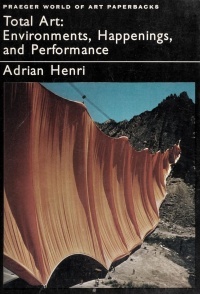 Adrian Henri, Total Art: Environments, Happenings, and Performance, 1974, PDF. 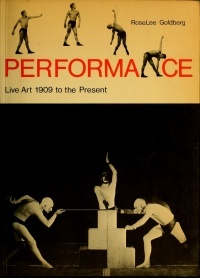 RoseLee Goldberg, Performance: Live Art 1909 to the Present, 1979, Log, PDF. Chantal Pontbriand (ed. 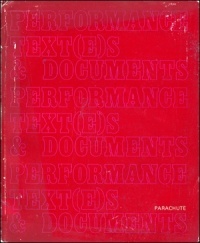 ), Performance: Text(e)s & documents, 1981. 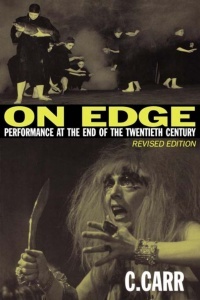 C. Carr, On Edge: Performance at the End of the Twentieth Century, 1993, EPUB; 2008, PDF. Catherine Ugwu (ed. 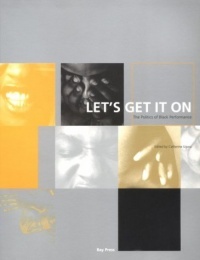 ), Let's Get It On: The Politics of Black Performance, 1995. Mariellen R. Sandford (ed. 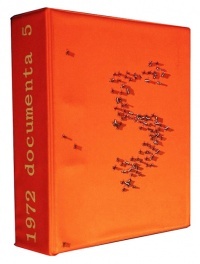 ), Happenings and Other Acts, 1995, Log. 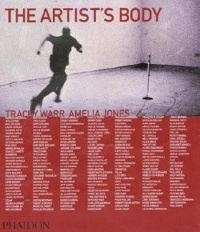 Amelia Jones, Body Art: Performing the Subject, 1998, intro. & ch 1. Tracey Warr (ed. ), The Artist's Body, 2000, Log. 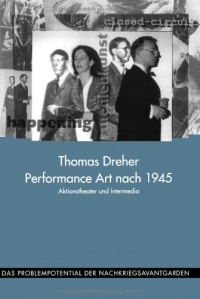 Thomas Dreher, Performance Art nach 1945. Aktionstheater und Intermedia, 2001, Log. 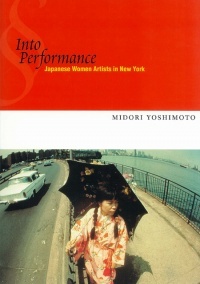 Midori Yoshimoto, Into Performance: Japanese Women Artists in New York, 2005, PDF. 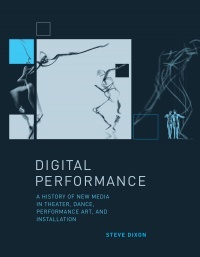 Steve Dixon, Digital Performance: A History of New Media in Theater, Dance, Performance Art, and Installation, 2007, PDF. 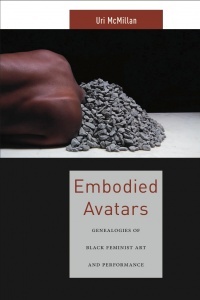 Uri McMillan, Embodied Avatars: Genealogies of Black Feminist Art and Performance, 2015. Introduction. 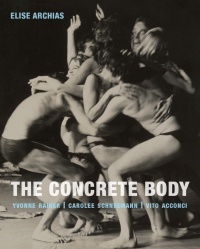 Elise Archias, The Concrete Body: Yvonne Rainer, Carolee Schneemann, Vito Acconci, 2016, PDF, EPUB. Outi Remes, Laura MacCulloch, Marika Leino (eds. 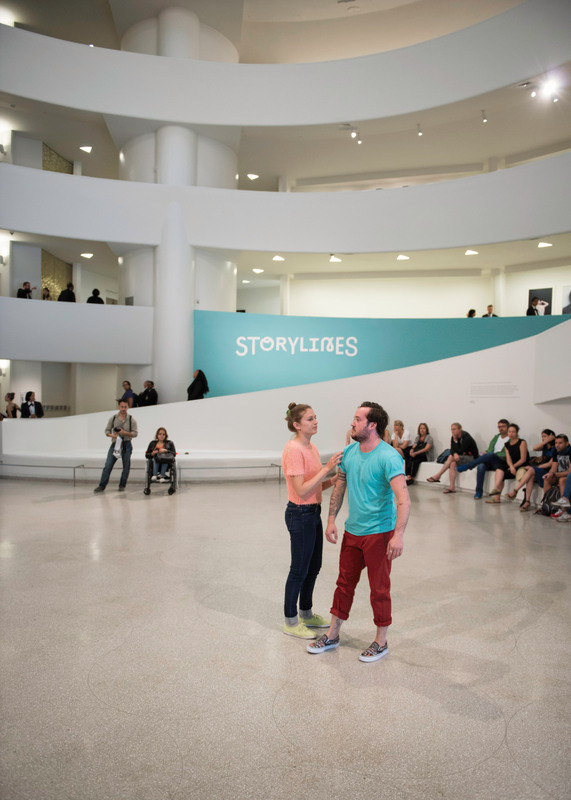 ), Performativity in the Gallery: Staging Interactive Encounters, Peter Lang, 2014, x+247 pp. 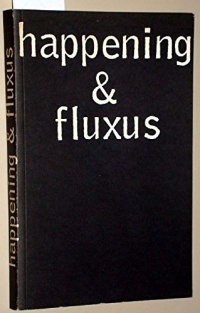 Happening & Fluxus: Materialien, 1970. 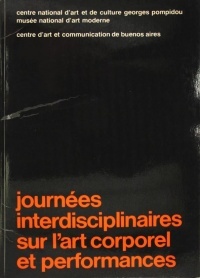 Journées interdisciplinaires sur l'art corporel et performances, 1979. Out of Actions, 1998, Log. 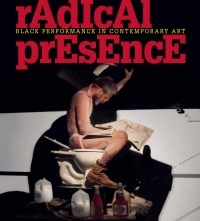 Radical Presence: Black Performance in Contemporary Art, 2013, Log, PDF. Darko Suvin, "Reflections on Happenings", The Drama Review 14:3, 1970, 125-144; repr. in Happenings and Other Acts, ed. Mariellen R. Sandford, New York: Routledge, 1995, pp 241-262. Performance art: en Britannica, Grove, Guggenheim, Oxford DA, Oxford Bib, Tate, Wikipedia. es CVAA. fr Pompidou. it Treccani. cr Šuvaković. hu Artportal. sl Pojmovnik. 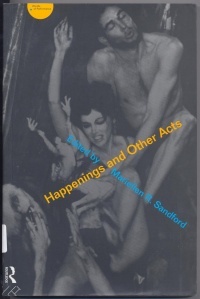 John G. Hanhardt, "Selected Happenings/Performances and Reviews" [1958-1964], in Blam! 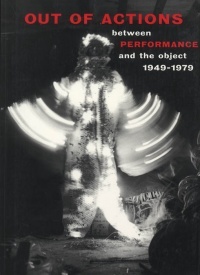 The Explosion of Pop, Minimalism, and Performance, 1958-1964, ed. Barbara Haskell, New York: Whitney Museum of American Art, 1984, pp 145-148. 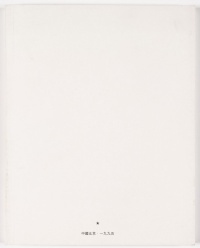 John Gray, Action Art: A Bibliography of Artists' Performance from Futurism to Fluxus and Beyond, Westport, CT: Greenwood Press, 1993, xiv+343 pp. 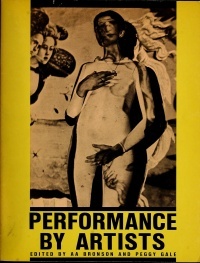 An inclusive bibliography on performance art from 1909 to the mid-1970s; covers futurism, Dada, cubism, Russian performance, the Bauhaus, Black Mountain College, Gutai, happenings, Fluxus, Viennese Actionism, destruction in art, and the Dutch Provos. Moira Roth, "A History of Performance", Art Journal 56:4, 1997, pp 73-83. Syllabus. Kristine Stiles, "Performance Art", Oxford Bibliographies, 2014. Subscription access. 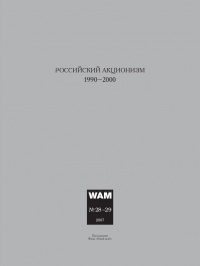 Andrey Kovalev, Rossiyskiy aktsionizm, 1990-2000, 2007, Log, PDF; EN: PDF. Медиаудар. Mediaimpact, 2012, Log, PDF. See also literature on Moscow Conceptualists. Overview of publications on Russian performance, Garage Museum, Moscow. 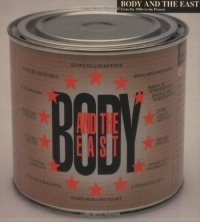 Body and the East: from the 1960s to the Present, ed. Badovinac, 1999. 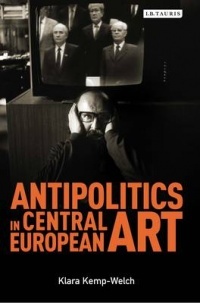 Klara Kemp-Welch, Antipolitics in Central European Art, 2014. Amy Bryzgel, Performance Art in Eastern Europe since 1960, 2017. Introduction. 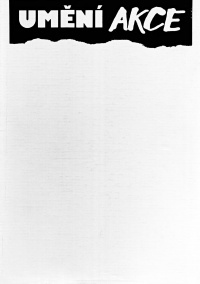 Umění akce, 1991, Log, PDF. Akce slovo pohyb prostor, 1999. Pavlína Morganová, Czech Action Art, 2015. 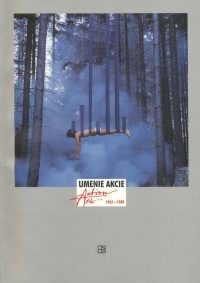 Umenie akcie / Action Art 1965-1989, 2001, PDF. Ján Kralovič, Teritórium ulica, 2015. 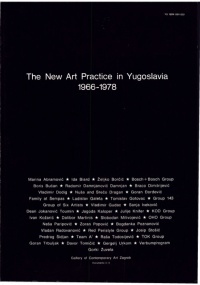 The New Art Practice in Yugoslavia, 1966-1978, 1978, Log, PDF (en), PDF (sc). Coco Fusco (ed. 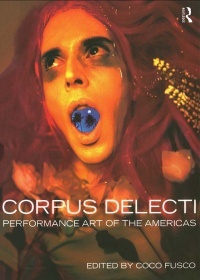 ), Corpus Delecti: Performance Art of the Americas, 2000, Log. 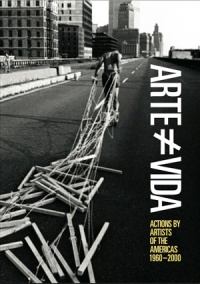 Arte ≠ vida: Actions by Artists of the Americas, 1960-2000, 2008. Chronology. Baipishu, eds. Ai Weiwei and Zeng Xiaojun, 1995. 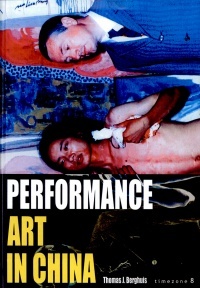 Thomas J. Berghuis, Performance Art in China, 2006. Evidence of Movement: Documenting Performance Art, exhibition, Getty Research Institute Gallery, Getty Center, Los Angeles, 10 Jul-7 Oct 2007. Review: Bedford (CAA). Kathy O'Dell, "Displacing the Haptic: Performance Art, the Photographic Documents, and the 1970s", Performance Research 2:1, Spring 1997, pp 73-81. Explores the epistemological challenges of understanding performance art through photographic documentation, the limitations of which lead to privileging of the visual over haptic experience. 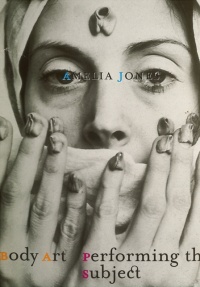 Amelia Jones, "'Presence' in Absentia: Experiencing Performance as Documentation", Art Journal 56:4, Winter 1997, pp 11-18. Coco Fusco, For the Record: Making and Documenting Performance Art, U Florida, Fall 2016. Jon McKenzie, Heike Roms, C.J.W.L. Wee (eds. ), Contesting Performance: Global Sites of Research, Palgrave Macmillan, 2010. Essayists think through themes related to global performance research: the "turn" to performativity in the British Academy (Heike Roms); performance studies and the "Americanization" of the American University (Shannon Jackson); performance as an interdisciplinary field (Gay McAuley); and performance and postcoloniality (Khalid Amine). Contains scholarly essays on performance in the Americas and South East Asia, and in Australia, Croatia, Germany, Israel, Japan, Morocco, Singapore, Slovenia, and South Africa. Re.Act.Feminism: A Performing Archive, an archive and exhibition project on feminism and performance art. Curated by Beatrice E. Stammer and Bettina Knaup. The core archive contains more than 250 videos, photographs and other documentation of gender-oriented, feminist and queer performance art, from the 1960s to the early 1980s. 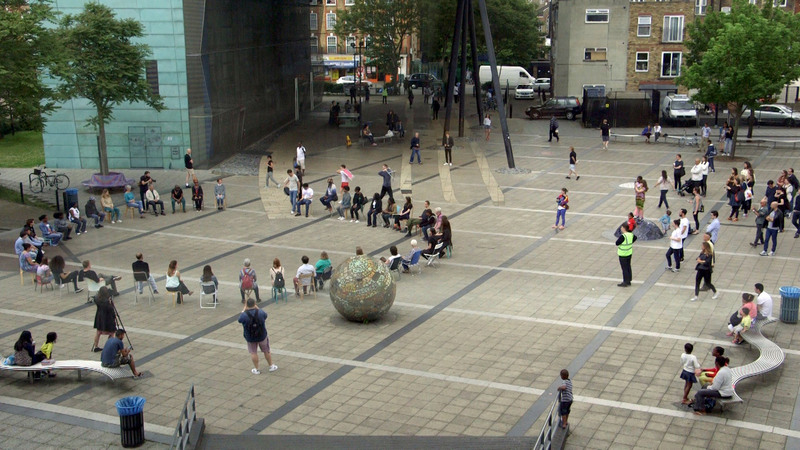 Performance at Tate: Collecting, Archiving and Sharing Performance and the Performative, Oct 2014-Sep 2016. A major initiative aiming to research and document the role performance – in all its forms – has played in the history of modern and contemporary art at Tate since the 1960s. It looked at the museum’s practices of collecting, displaying, documenting and sharing performance and explored how performance practices have reframed conventional understanding of an art collection. Funded by the Arts and Humanities Research Council (AHRC), the twoyear project was a collaboration between the Centre for Intermedia at the Department of English at the University of Exeter and Tate. It was led by Professor Gabriella Giannachi, Catherine Wood (Senior Curator, International Art (Performance) and Jennifer Mundy (Head of Collection Research). PDF publication. Performing the East, a resource on performance art in Eastern Europe since 1960, operated by Amy Bryzgel. Performing Arts in the Second Public Sphere, initiated by Katalin Cseh, Ludwig-Maximilians-U, and Adam Czirak, Free U Berlin. Funded by Erste. 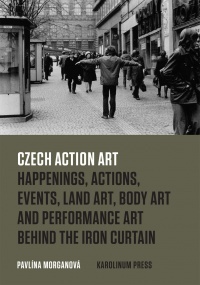 Action Art Beyond the Iron Curtain, a research project convened by Adam Czirak, Free U Berlin. Funded by the German Research Society (DFG). 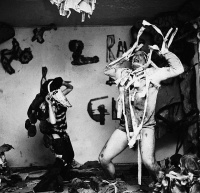 Glimpses of Before 1970s Performance Art in the UK. A study room guide compiled and edited by Helena Goldwater and produced by the Live Art Development Agency (LADA). The guide includes framing texts by Helena Goldwater and Dominic Johnson, as well as artists’ information and images, including links to online content and hard copy materials available in LADA’s Study Room, a free, open access research facility specialising in Live Art and Performance. Part of a larger series of research activities on Performance and Politics in the 1970s organised by Dominic Johnson and Nicholas Ridout of the the Department of Drama at Queen Mary, University of London (2015-16). 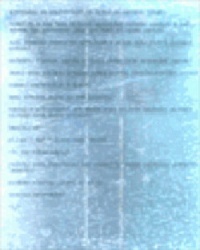 PDF publication. Performance Perspectives, an archive of video interviews exploring performance art in Australia. The Performance Club, a platform for art criticism, ed. Claudia La Rocco. SiteWorks: San Francisco Performance 1969-85, a site-specific curation of archival remains of past ephemeral art and performance in the present city of San Francisco, ed. Nick Kaye. See also group exhibition catalogues above. Performa biennial, New York, since 2005. Editions: #1: 3-21 Nov 2005, 20+ venues; #2: 27 Oct-20 Nov 2007, 60+ venues; #3: 1-22 Nov 2009, 100+ artists, 80+ venues, theme: Italian Futurism; #4: 1-21 Nov 2011, 140+ artists, theme: Russian Constructivism; #5: 2013, theme: Surrealism; #6: 2015, theme: Renaissance; #7, 1-19 Nov 2017, theme: Circulations. Founding dir. RoseLee Goldberg. The Living Currency/La Monnaie Vivante: After Pierre Klossowski exhibition, Micadanses Paris, 2006; Stuk Theatre, Leuven, 2007; Turbine Hall, Tate Modern, London, 2008; Dramatic Theatre, Warsaw, 28-30 Apr 2010; Berlin Biennale, 17-19 Jun 2010; CAC Bretigny, 2015. Staged by Pierre Bal-Blanc. American Realness, a festival of dance, performance and discourse, Abrons Arts Center and other venues, New York, since 2010. 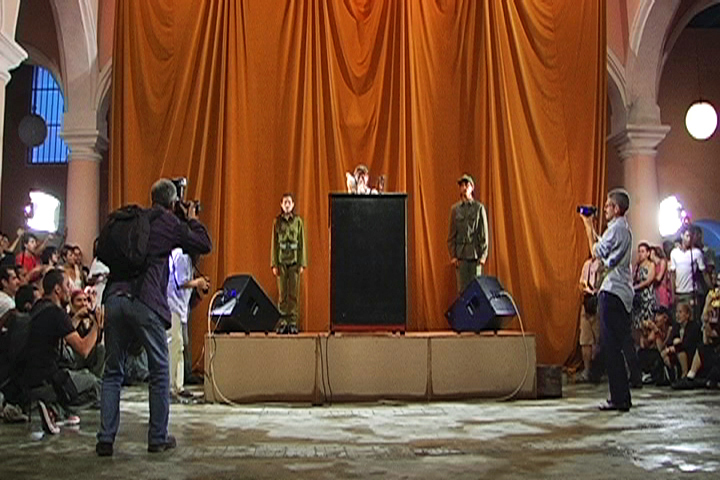 Tania Bruguera, On the Political Imaginary exhibition, Neuberger Museum of Art, Purchase NY, 28 Jan-11 Apr 2010. Bruguera's first retrospective. Review: Genocchio (NYT). Marina Abramović, The Artist Is Present, exhibition, MoMA, New York, 14 March-31 May 2010. Retrospective. 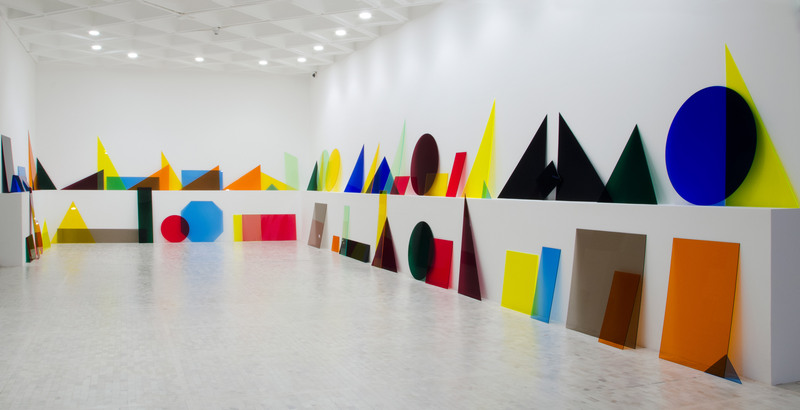 Clifford Owens, Anthology exhibition, MoMA PS1, New York, 13 Nov 2011-7 May 2012. The show featured performances scores—written or graphical instructions for actions—that Owens solicited from a multigenerational group of African-American artists. Twenty-six major artists have contributed scores, nearly all of whom composed new works specifically for Owens and his project. Catalogue excerpt. Review: Young (emisferica). Commentary: Young (TDR). Personal (Hi-)stories, Garage Museum of Contemporary Art, Moscow, 15 Aug-21 Sep 2014. 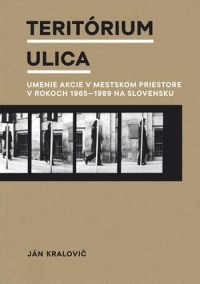 Photo and video documentation of artistic actions, performances, and films realized in the public realm in the East-Central Europe from the 1960s-80s. Performance Process, Centre Culture Suisse, Paris, 18 Sep-13 Dec 2015. Embodiment Abstracted: The Influence of Yvonne Rainer exhibition, Gallery 400, University of Illinois, Chicago, 13 Jan-4 Mar 2017. Featured 7 artists' performance and video work from the early 2000s. Curated by Elise Archias. Action!, Kunsthaus Zurich, 23 Jun-30 Jul 2017. The Manifold (After)lives of Performance conference, STUK Leuven & Frascati Amsterdam, 13-15 Nov 2009; Part II, 12-13 Nov 2010. Produced by De Appel (Amsterdam) and STUK Kunstencentrum (Leuven). Reports: Hölling (Part 1), Hölling (Part 2). Performance as the Paradigm for the Arts symposium and research seminar, Museum of Modern Art, Warsaw, 22 Feb 2013. Curated by Marta Dziewanska and Magda Lipska in collaboration with André Lepecki. Video lectures. Performance and Politics in the 1970s symposium, Whitechapel Gallery, London, 30 May 2015. Video talks. Collecting and Conserving Performance Art symposium, Kunstmuseum Wolfsburg, Wolfsburg, 9-11 Jun 2016. Organised by The German Association of Conservator-Restorers (VDR). Video documentation. Conservation Piece(s): Conference on the preservation of performative media: Theoretical impulses and practical examples on the preservation of digital art, HEK Basel, 27 Jun 2016. Organised by Sabine Himmelsbach and Agathe Jarczyk. Repetition/s: Performance and Philosophy in Ljubljana conference, University of Ljubljana – Faculty of Arts, Ljubljana, 21-24 Sep 2016. Doing Performance Art History: A Congress of Actors and Observers, Cabaret Voltaire, Zurich, 3-5 Nov 2016. P/Re/Enact! Performing in Between Times conference, ICI Berlin, 27-28 Oct 2017. Art is Dead Long Live Live Art: An Interdisciplinary Conference on Performance, London, 20-21 Apr 2018. Poetry & Performance: The Eastern European Perspective exhibition, Kassák Museum, Budapest, Spring 2018. Curated by Sabine Hänsgen and Tomas Glanc. Artists and Agents: Performance Art and Secret Services in Eastern Europe exhibition, Gessnerallee Zürich, Spring 2019; Hartware Kunstverein Dortmund, Autumn 2019. Curated by Sylvia Sasse and Kata Krasznahorkai. This page was last modified on 11 April 2019, at 10:22. This page has been accessed 25,710 times.